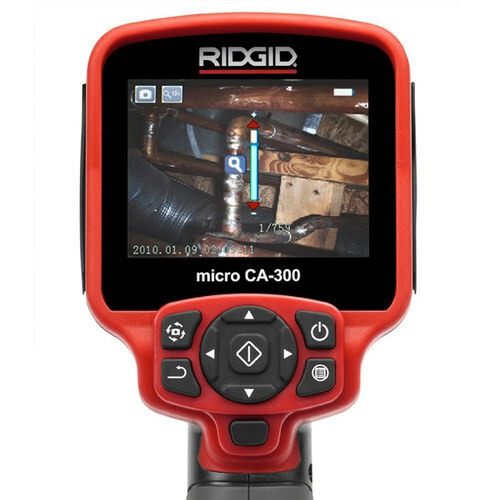 The Rigid SeeSnake CA-300 features a new 3.5" screen which allows you to view problems in hard-to reach areas with a high resolution. The CA-300 is also able to record still images and videos onto an SD Card which is included in the package. Once your images are captured you can simply connect the camera to your computer via the USB cable or remove the SD Card to a card reader. The unit also features a digital zoom and image rotation which allows you to view in even greater detail and as with all the SeeSnake range the camera heads are interchangeable allowing you to add extension lengths to give you greater reach and smaller camera heads for small diameter openings. 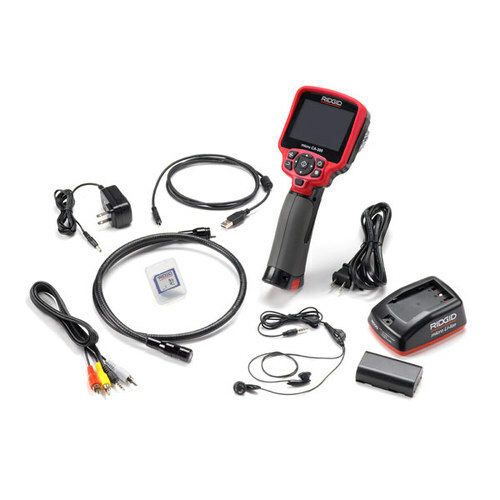 With its comfortable pistol-grip design, large screen, and rugged anodized aluminum camera head with four bright LEDs the new SeeSnake CA-300 make it easy to detect and diagnose the unreachable. 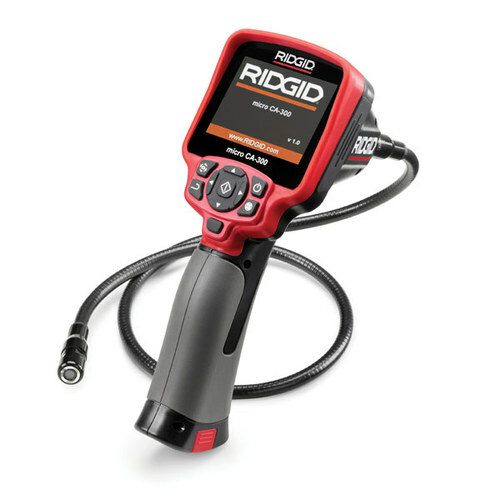 The new RIDGID SeeSnake micro CA-100 Inspection Camera allows you to perform detailed visual inspections in hard to reach areas. The micro CA-100 comes with a new rotate feature which allows you to rotate the image on the screen so it shows upright. 3 foot Extension Cable to increase the reach of your SeeSnake Micro Inspection Camera. Up to 9 of these Extension cables can be fitted to the Ridgid Micro SeeSnake Inspection Camera Systems to give a total reachable length of 30 feet. 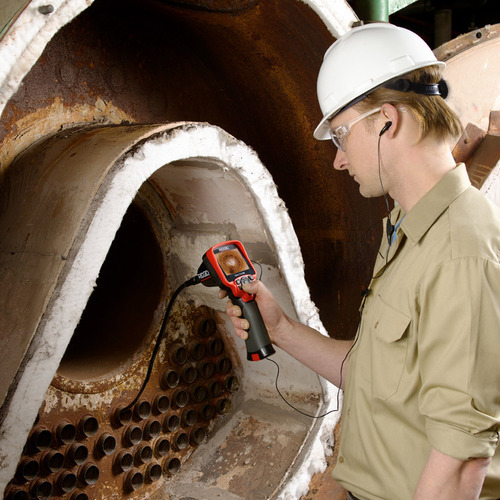 The new 6mm diameter camera head allows you to perform detailed visual inspections in the most confined areas. Its super bright LED and high resolution camera provide crystal clear images. 6 foot / 183cm Extension Cable to increase the reach of your SeeSnake Micro Inspection Camera. Up to 4 of these Extension cables can be fitted to the Ridgid Micro SeeSnake Inspection Camera Systems to give a total reachable length of 30 feet. SeeSnake MicroDrain - 10m Reel. This MicroDrain Reel comes with interconnect cable for use with the Ridgid micro CA-300 Inspection Camera (not included). 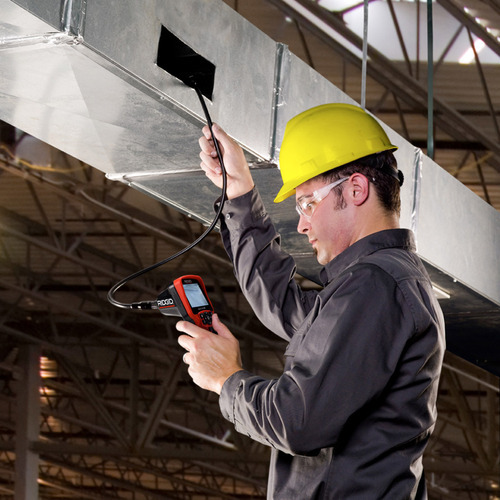 This is the ideal solution for anyone looking to inspect small diameter pipes.